This is an era of intelligent revolution where student success and engagement is of utmost priority.1-1 personalized interaction is the foundation for student success. New engagement models drive massive amounts of data which need to be turned to action. Targeted advising is what students need. Artificial intelligence by Salesforce has helped to develop an intelligent and data driven advising system. Advisors are now able to advise based on data & analytics. In this blog we are going to discuss about the Salesforce Roadmap for Higher Education in the near future as discussed in Dreamforce ’16. One of the key points as discussed is Salesforce Advisor link,a new mobile advising application built on the top of the Salesforce Platform. 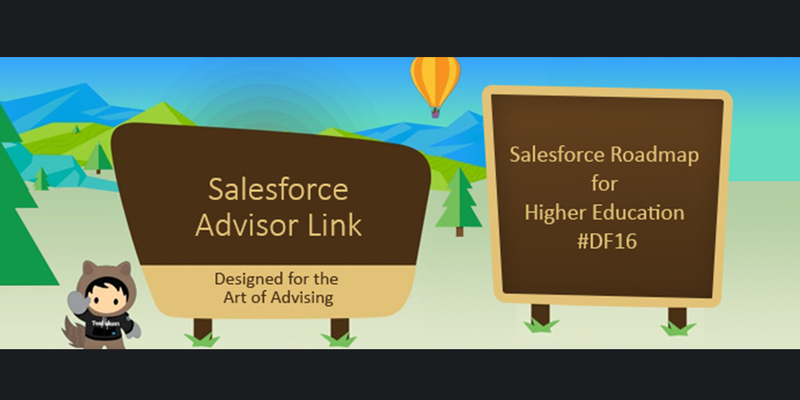 Salesforce Advisor Link is a new solution built on the top of world’s #1 CRM. It helps promote smart engagement and gives a unified way to university community to contribute to student’s success. 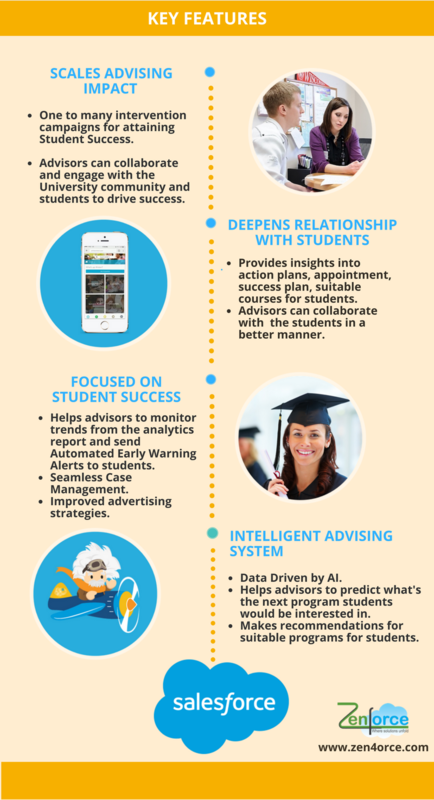 The infographic explains it’s key features and how advisory link solution has helped develop predictive advising approach. HEDA trailhead launched which is the best way to get started for trial and get engaged with it. Accelerating innovation with cloud computing and Salesforce continuously evolving technology. Announcement of the Higher Education summit to be held at Austin,Texas in April 2017. We are very eagerly awaiting the promising features of the Salesforce Advisor Link app that would be available in 2017 and would help accelerate student journey.